The current Chief of Army Staff Lieutenant General Yusuf Tukur Buratai is one of the most widely talked about personalities in contemporary Nigeria going by the frontline and historical role that he plays as a professional soldier. I'm sure if Google as a search engine can come up with the current rating of the most searched item at the moment, the Nigerian Army and the Chief of Army staff Lieutenant General Tukur Yusuf Buratai will come tops. The institution of the Nigerian military is also one of the most beloved by commoners going by the extensive admiration it has garnered for itself in the past as the agency that successfully midwifed and delivered popular rule of the people, by the people and for the people also known universally as democracy. This is why the likes of General Abdulsalami Alhaji Abubakar(retired) is reputable as one of the few surviving fathers of democracy in Nigeria in the mould of General Olusegun Obasanjo. Understandably, General Abdulsalami is today a keyplayer in the national peace committee charged with the onerous task of ensuring that elections are peaceful. Indeed, it is for the widespread admiration for the military institution that occasioned the monumental passion with which the job of the military Chiefs are discussed, analyzed and synthesized, with the overwhelming objective of ensuring that the military remains purely as a professional agency made up of professional combatants whose pivotal mandate is to defend the territorial integrity of Nigeria. For every ten persons you interviewed in most streets of Nigeria about what he/she thinks about the military, there is the certainty that virtually 75 percent of your respondents would come up with words of admiration for the military but with very quick caution that the military must be absolutely insulated from playing partisan and divisive politics. It was for this same reason that as soon as the current administration emerged on the political firmament and appointed the crop of military chiefs including the Army Chief, most Nigerians supported the resolve of the military hierarchy to purge from amongst its officer corp, those of the officers suspected of playing to the political gallery during the 2015 general election. The purge led to the early retirement of about 38 military officers. Although some news media read some political meanings into the massive purge of the military going by the high fatality rate that affected mostly officers from the southern states than the few from the core North, the general view was that if indeed those military officers violated their time tested and time honoured principle of non-interference in politics which goes against their professional calling, there was no sinister motive to be drawn from the sack. General Buratai being a media savvy military General, was aware that different perspectives have been adduced for his action to purge the military institution of officers adjudged to have violated their professional military code by dabbling into partisan politics in 2015. The Chief of Army staff responded robustly to the groundswell of suspicions of an ethnic agenda in the massive retirement of senior officers.. Misperception and misconception persists about that action with a very prominent online medium championing the line of thought that the purge was politically vindictive. This news medium had brushes with the military because of this line of thought just as the Army chief dragged them to court. In the perception of the reporters, majority of the 38 officers compulsorily retired by the Nigerian Arm were sent away without recourse to the rules of disengagement in the Nigerian military,” PREMIUM TIMES claimed to have authoritatively reported. The army had in June two years ago announced the compulsory retirement of 38 officers on different ranks on the grounds of alleged professional misconduct during the 2015 general elections, as well as involvement in the $2.1 billion arms procurement scandal. In the June 9 letters, seen by PREMIUM TIMES, to the affected officers, their compulsory retirement was hinged on “provisions of Paragraph 09.02c (4) of the Harmonized Terms and Conditions of Service for Officers 2012 (Revised)”. The referenced section – 09.02c (4) – of the Harmonized Terms and Conditions of Service for Officers 2012 (Revised), shows the officers were laid off “on disciplinary grounds i.e. serious offence(s)”. Emphasizing “service exigencies” and that the “military must remain apolitical and professional at all times”, Army spokesperson, Sani Usman, a colonel, on June 10, released a statement, disclosing what could have constituted the “serious offences” which warranted the 38 officers to be compulsorily retired. However, contrary to the claim by the Army, our investigations showed that only a few of the affected officers were queried, tried and indicted, Premium Times claimed and proceeded to assert that others had their careers abruptly cut short for reasons that smacks of high-level arbitrariness, pettiness, witch-hunting and partisanship by authorities of the Army. The newspaper reports that while officers cleared by either arms procurement panel or election panel were retired, others who were not questioned at all were also sent away. Premium Times says its findings revealed that nine officers, holding the rank of Major General, 11 Brigadier Generals, seven Colonels and 11 Lieutenant Colonels, amounting to 38 officers in sum, were laid off. These soldiers have however challenged their dismissal in courts and I learnt that the Army is ready to comply with the final decisions of the courts. Fast forward to the ongoing 2019 polls and focus your lenses to the clamour in many quarters regarding some actions taken by some of the armed operatives deployed on internal security operations, what comes to mind immediately is the accusation of undue interference in the election. The Army has begun investigation internally. How far can this internal conflict resolution mechanism go is anybody's guess. Whereas I am not holding brief for the Chief of Army staff, one thing that is certain is that he has over the many years in the Army put up an attitude of a military officer who is devoted to his duty and absolutely loyal to the civilian constituted authority just as he recently justified the decision to deploy soldiers in aid of civil authority to keep the election safe based on section 217 (1) of the constitution. What has come out of my intensive researches and observations of his official activities with the binoculars of a journalist is that General Buratai can be equated to the position of a constitutional purist who thinks constitution, dreams constitution and lives constitution. I may be wrong. I may be too optimistic. Who knows? In my early days as a philosophy student, I became fascinated with the pure theory of law. The idea of a Pure Theory of Law was propounded by the formidable Austrian jurist and philosopher Hans Kelsen (1881–1973). Kelsen began his long career as a legal theorist at the beginning of the 20th century. The main challenge for a theory of law, as Kelsen saw it, is to provide an explanation of legality and the normativity of law, without an attempt to reduce jurisprudence, or “legal science”, to other domains. The law, Kelsen maintained, is basically a scheme of interpretation. Its reality, or objectivity, resides in the sphere of meaning; we attach a legal-normative meaning to certain actions and events in the world. He goes thus: "Suppose, for example, that a new law is enacted by the California legislature. How is it done? Presumably, some people gather in a hall, debate the issue, eventually raise their hands in response to the question of whether they approve a certain document or not, count the number of people who say “yes”, and then promulgate a string of words, etc. Now, of course, the actions and events described here are not the law. To say that the description is of the enactment of a new law is to interpret these actions and events in a certain way. But then, of course, the question is why certain acts or events have such a legal meaning and others don’t?" An act or an event he affirmed gains its legal-normative meaning by another legal norm that confers this normative meaning on it. "An act can create or modify the law if it is created in accordance with another, “higher” legal norm that authorizes its creation in that way. And the “higher” legal norm, in turn, is legally valid if and only if it has been created in accord with yet another, “higher” norm that authorizes its enactment in that way. In other words: it is the law in the United States that the California legislature can enact certain types of laws. But what makes this the law? The California Constitution confers this power on the state legislature to enact laws within certain prescribed boundaries of content and jurisdiction. But then what makes the California Constitution legally valid? The answer is that the legal validity of the Constitution of California derives from an authorization granted by the US Constitution. (Stanford Encyclopedia of Philosophy)." No wonder then that Lieutenant General Buratai always refers to the constitution for all his official actions. Expectations are high that the constitution should also guide him as the probe panel determines the allegations of political interferences by soldiers especially in Rivers State and appropriate legal penalties meted out to offenders. Let there be no sacredcows please. 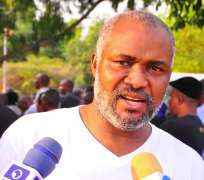 *Emmanuel Onwubiko is head of Human rights Writers Association of Nigeria (HURIWA) and blogs @ www.thenigerianinsidernews.com ; www.emmanuelonwubiko.com ; www.huriwanigeria.com ; www.huriwa.blogspot.com .